Hi-tech School Project is aimed at improving the academic activities and administrative works in the General Education sector in Kerala state. It@School has been assigned the task of achieving this. School IT coordinators has the responsibility of providing necessary technical guidance to the teachers. To implement this scheme in schools, details of facilities available have to be collected. Classrooms, lab facilities, hardware appliances etc come under this survey. For more information on how to fill data in online survey form, read the help file given below. July 15th is the last date for completing this process. Several activities related to this are going on at school level for the successful implementation of Hi-Tech School project. The government has published an order on a common criteria to be followed for the disposal of e-wastes in schools in our state. E-waste Management and Disposal is an online facility for this. Now, it is possible for schools to visit portal to upload their details. A detailed helpline and link to online portal is given below. With the implementation of Hi-Tech School Project, the digital resources become a requisite for the teachers and the students for the empowerment of teaching – learning process. Samagra , the Resource Management Portal enables distributing and sharing this among the students in the class room. Going through the help file given below would assist to log into the Samagra portal and upload study materials. 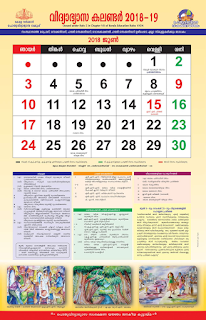 Orders and circulars in connection with Hi-Tech School Project published by the Department of Education and It@School can be downloaded from the link.